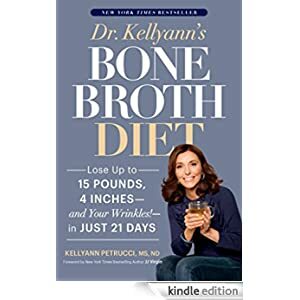 As a naturopathic physician and weight-loss specialist, Dr. Kellyann has helped thousands of patients achieve spectacular weight loss and more youthful-looking skin through her bone broth diet. In just 21 days, you, too, can unlock these miraculous results with Dr. Kellyann’s delicious bone broth recipes and groundbreaking mini-fasting plan. Buy this book for only $1.99 today.